The Third Age is a garden designed to showcase the whimsical bronze sculpture work of Will Wilson (Willie Wildlife Sculptures) in a sprawling backyard garden setting. Set against a small weather board cottage a bluestone path will lead to a stunning central bronze bird bath feature, shadowed by a mature crab apple tree that overhangs a giant apple sculpture. 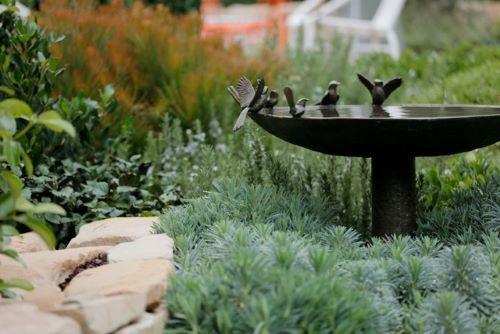 Ringed by playful garden beds with vibrant, textural shapes the Show Garden will be overflowing with sculptural vignettes of bronzed birds and flora.